The therapeutic bear is much more than a hot water bottle! The effectiveness of the teddy bear comes from the osmosis of moisture caused by heat or cold. 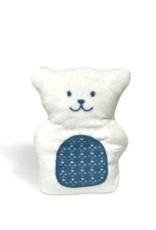 Our Béké-Bobo therapeutic teddy bear is recognized as a medical device by Health Canada and the European Union. 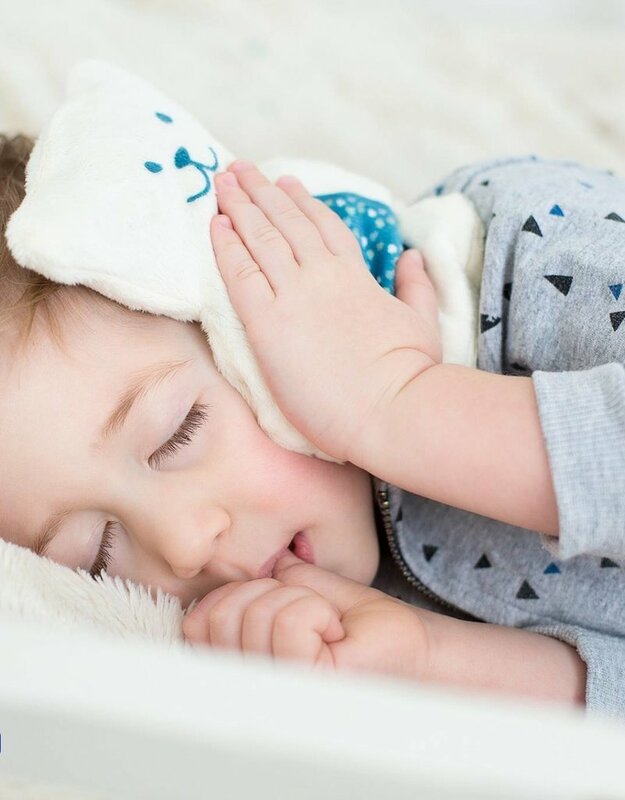 Apart from its benefits to reduce bellyaches, colic, ear infections (otitis), bruises and the aches of everyday life, it can also be a big help to ease anxious little ones. 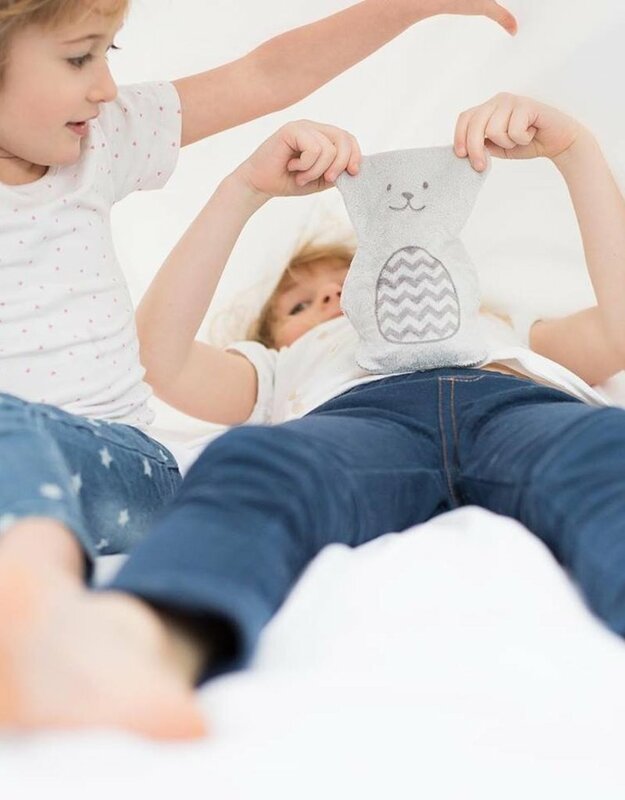 Its weight and size have been carefully designed to provide the child with maximum comfort. 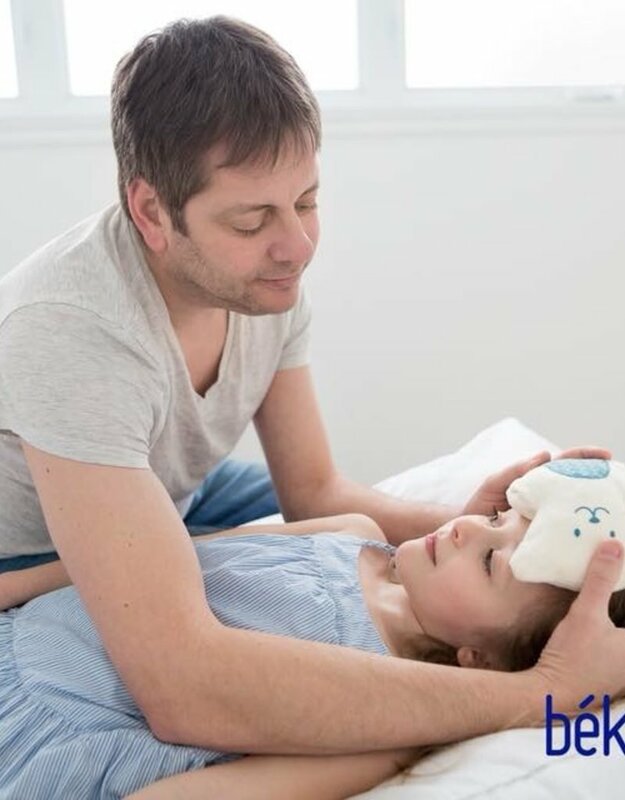 Very useful during the bedtime routine as well as during a crisis, it helps relax if it is placed warm or cold on the child’s chest. Helped by the weight of the bear, the child becomes aware of his breathing and slows it down automatically. It is easy to manipulate and expresses its personality with a variety of playful patterns printed on a soft and comforting fabric. The size of the bear represents the reassuring size of a mother’s hand, and its weight allows it to safely be placed on the abdomen of a baby. 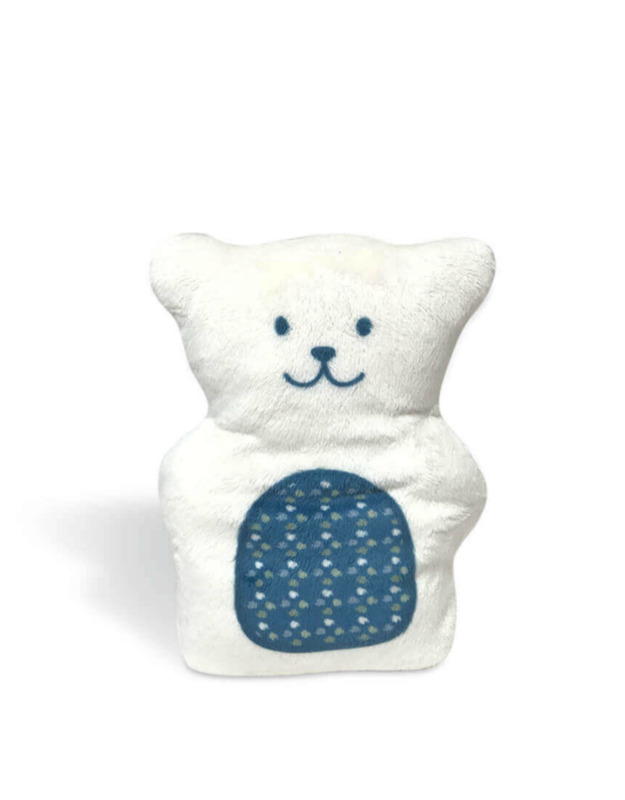 The removable cover of the therapeutic bear is machine washable. Your child can count on him for a long time!